The Chichester-based art charity NOA (National Open Art) has one very simple aim; it attempts to make the display and promotion of art open to all, meaning that all budding Hockneys and Emins have an equal chance of having their work exhibited and sold based on talent, not connections. It has been in existence for nearly two decades, and in that time has attracted some high-profile supporters, including such high profile champions as its vice-president Gavin Turk to its patron, Ronnie Wood. 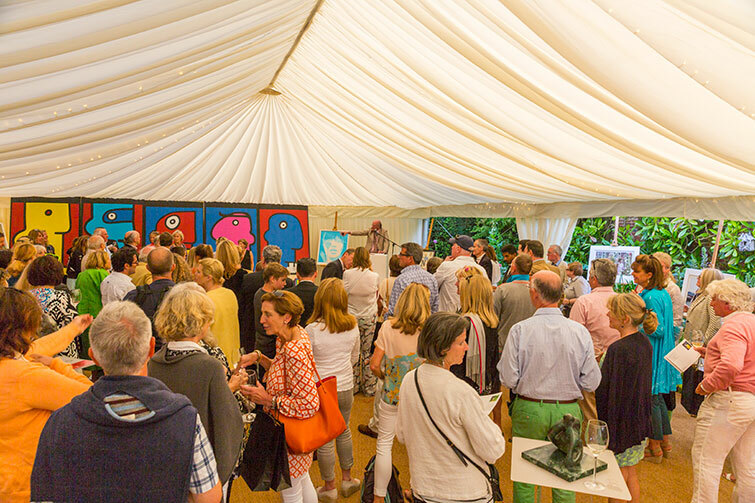 Although Messrs Turk and Wood were not to be found at the NOA’s glitzy summer garden party outside Chichester this year, their work constituted some of the highlights of a fund-raising auction, notably Wood’s portrait of his fellow Rolling Stone Charlie Watts, along with other items by notables including Peter Blake, Damien Hirst and Tracey Emin. Art supporters and the local worthies and eminents spent a happy few hours nibbling miniature fish and chips and drinking cocktails made with local gin and vodka – all in the best of causes. We look forward to the next tranche of great artists emerging from this fine initiative; the 20th anniversary next year is bound to be an impressive one.